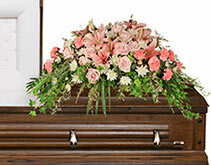 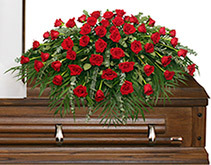 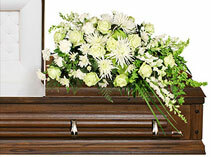 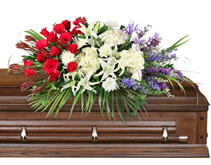 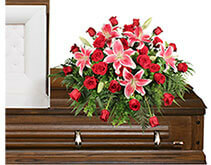 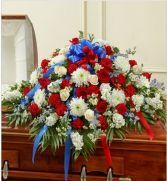 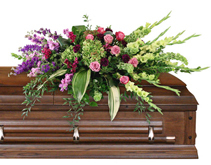 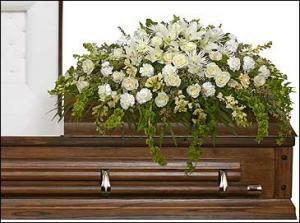 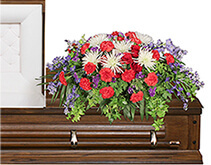 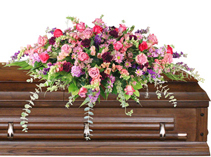 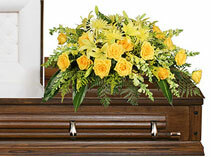 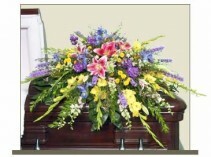 Red White and Blue Half Casket Cover Express your feelings of love and patriotism with this beautiful tribute. 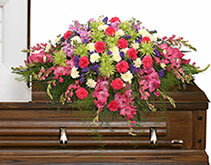 As you come together to share your memories, these assorted purple flowers cradle the urn in a loving embrace. 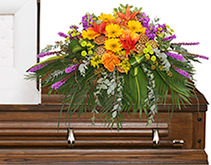 The soft greens and soothing purples are ideal to grace a memorial service.Features thirty five light and hot pink roses with trailing stems of lush green ivy. 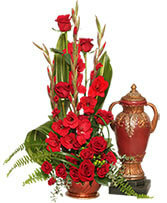 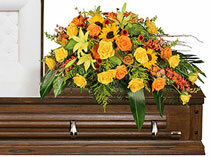 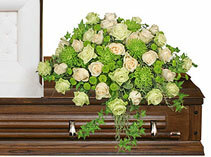 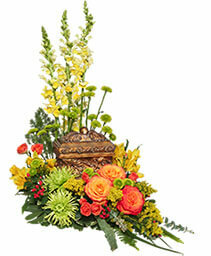 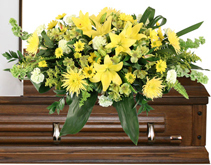 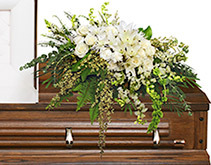 Please note: Arrangement does not include urn.